“One of the most ancient veg grown by the Egyptians, Romans and Greeks. 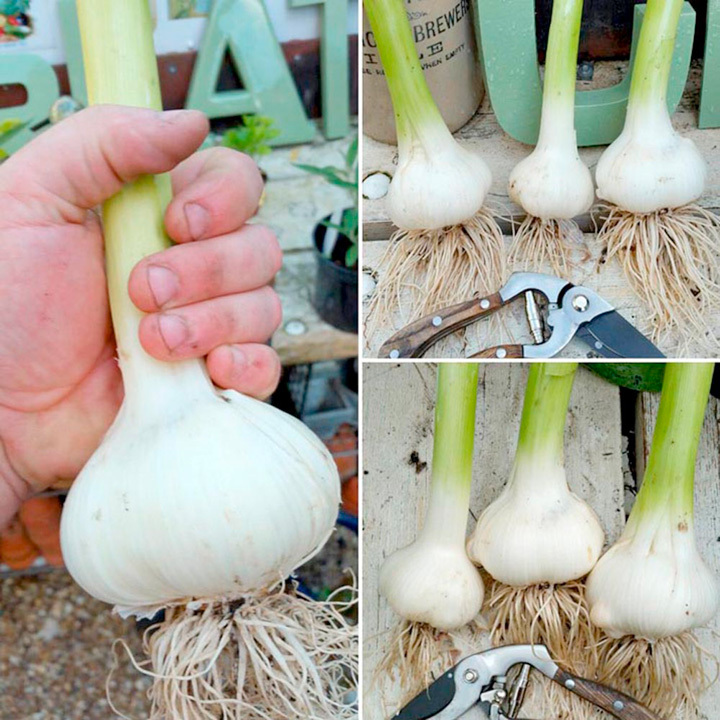 A colossal garlic - it can grow to an amazing 15cm (6”) across and weighs almost 1kg (2.2lb)with each clove bigger than a regular garlic bulb! 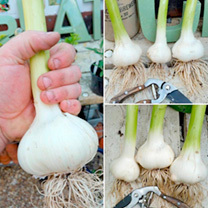 It will cope with damper conditions better than regular garlic and can be planted in the autumn or spring. Bulbs will keep until the following summer in a cool, dark place.” Plant October-February. Harvest May-July.